Vanderbilt University is a private institution founded in 1873 by a gift of Commodore Cornelius Vanderbilt. To learn more about its history, visit the History of Vanderbilt University webpage. Vanderbilt is located in the heart of Nashville, Tennessee. The first Ph.D. degree in mathematics awarded by Vanderbilt was in 1953 to James Robert Wesson. The title of his dissertation was “Finite Plane Projective Geometries.” His advisor was Eugene Baylis Shanks. Vanderbilt’s first distinguished professor of mathematics, Bjarni Jónsson, was hired in 1966. In 1970, the Department of Applied Mathematics (housed in Vanderbilt’s School of Engineering) merged into the Department of Mathematics. 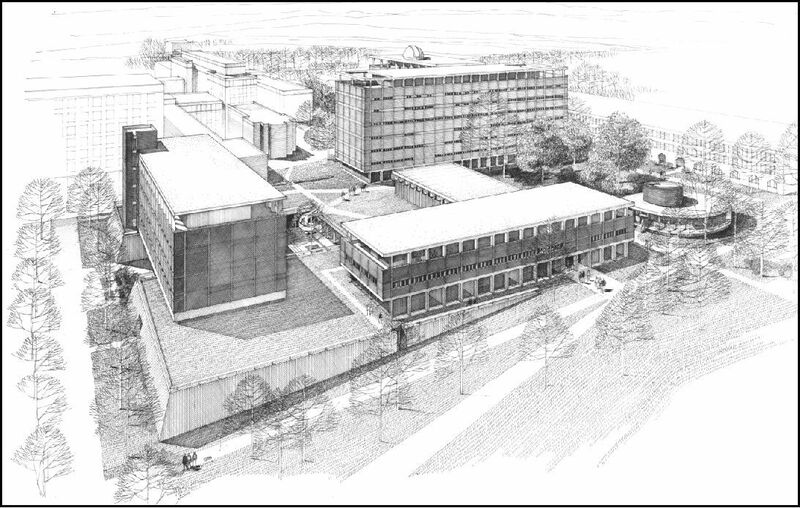 In 1971, the department moved to its current location in Stevenson Center 1 (depicted in the artwork above).